RESOURCES FROM THE Pompeii Cast Project. Our team has been working with various production companies to bring you a new documentary on the Pompeii Cast Project. Stay tuned for trailers, interviews and sneak peek footage of the team at work as we progress. 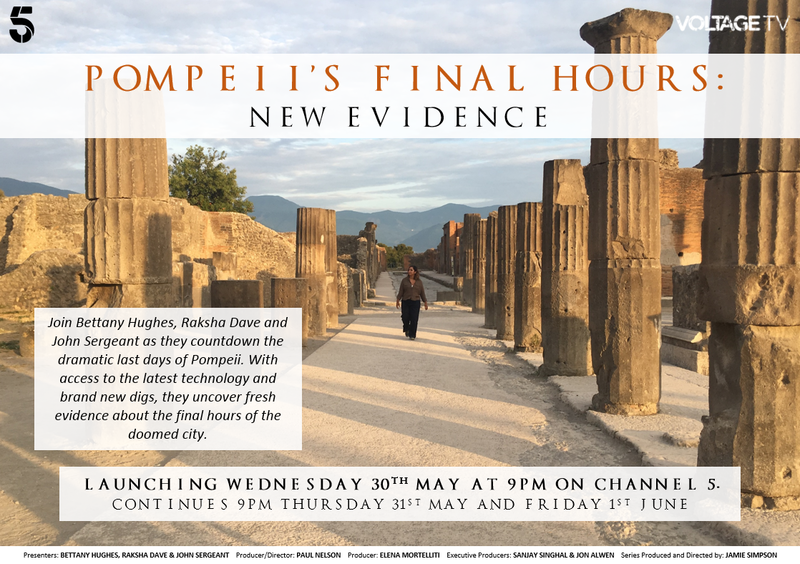 In 2018, SBS featured the documentary Pompeii: Life Before Death (Re-titled from Pompeii: New Secrets revealed with Mary Beard). Pompeii is nestled in the shadow of Mount Vesuvius, whose massive eruption in 79 AD simultaneously destroyed and preserved this bustling Roman town. It is one of the world’s most iconic sites, a city frozen in time that has revealed more about everyday Roman life than anywhere else. This lecture was presented by Dr Estelle Lazer on 28 November 2017 at the University Sydney. Presented by Sydney Ideas. The way Pompeii was covered by the eruption material ejected by Mt Vesuvius in 79 CE has made it possible to reveal the forms of organic remains preserved in the hardened ash. Pouring plaster of Paris into the voids created by decomposed soft tissue has created casts that were believed to be faithful renditions of those who died. In theory, the skeletons were embedded within the plaster casts of human victims and those of other mammals. In 2015, Estelle Lazer and her team of experts commenced a project to CT scan and X-ray the casts of the Pompeian victims. The initial results of the CT scans and X-rays were surprising as they revealed that the actual production methods for the casts were quite different to the procedures that had been minimally documented in the 19th and 20th centuries. This year, the University of Sydney and the Superintendency of the Pompeii Archaeological Park signed a Memorandum of Agreement, which makes the two institutions partners in this important project. In June 2017, permission was granted for the first time to transport plaster casts of victims from the site to the nearby local hospital for scanning in a state-of-the-art CT scanner that provided much higher resolution than the machine employed in the 2015 study.The results of this season are providing us with new insights into the lives and deaths of these victims, as well as a better understanding of how the casts were achieved. This lecture was presented by Dr Estelle Lazer on 25 August 2016 at the University of Sydney. Co-presented by the Department of Classics and Ancient History and the Nicholson Museum. Since they were first revealed in 1863, the casts from Pompeii which preserved the forms of the victims in their moment of death have generated huge interest. Stories of their supposed lives and deaths have proved to be persistent not just in novels and movies, but also in some academic treatments of the site. 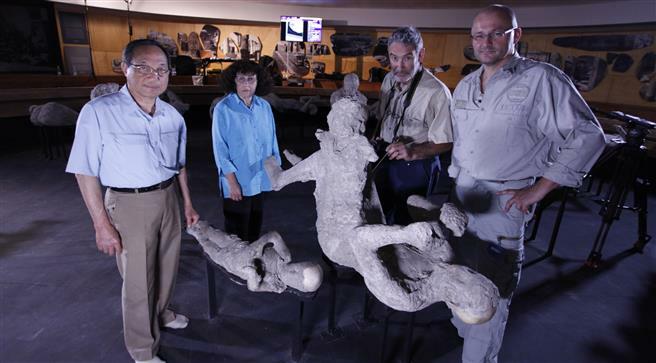 As part of the Great Pompeii Project of 2015, the Superintendency organised the restoration of 86 of the 103 casts. Estelle Lazer and her team were given the opportunity to generate CT scans and x-ray analysis. For the first time, it was possible to carry out a scientific analysis a number of the casts and the remains embedded within them. ​Recognizing the important contribution of the human skeletal evidence to the archaeology of Pompeii and studying the reasons for the scientific neglect of the human remains, Resurrecting Pompeii provides detailed information about what the skeletal record can actually provide. Estelle Lazer demonstrates that the biological evidence does not support the detail of the stories that have been told to date, but it does yield tantalizing glimpses into the lives and deaths of the victims, providing students of archaeology and history with an essential resource in the study of this fascinating historical event. Dr Estelle Lazer contributes chapter 5 of this volume "Skeletal Remains and the Health of the Population at Pompeii"
Dr Estelle Lazer joined collegaues Dr Eric Poehler, Dr Gillian Shepherd and Dr Steven Ellis for this radion interview New insights about what happened at Pompeii on ABC Radio National. Listen online here. Dr Estelle Lazer joined Richard Glover on ABC Radio to discuss the Pompeii Cast Project ahead of her sold out Sydney Ideas lecture at the University of Sydney. Listen online here. Note: Estelle appears at 1 hour into the program. Dr Estelle Lazer Joined Richard Fidler on ABC radio to talk about her life as a forensic archaeologist and her research on the human remains of Pompeii. Listen online here. 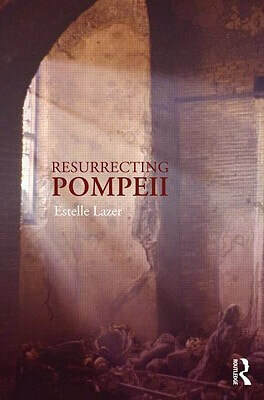 Dr Estelle Lazer caught up with Blogging Pompeii to discuss her 2009 published book 'Resurrecting Pompeii'. Read the full article here. There are lots of great resources on the web for learning more about Pompeii, archaeology and the ancient Roman world. These are just a few useful links to get you started.